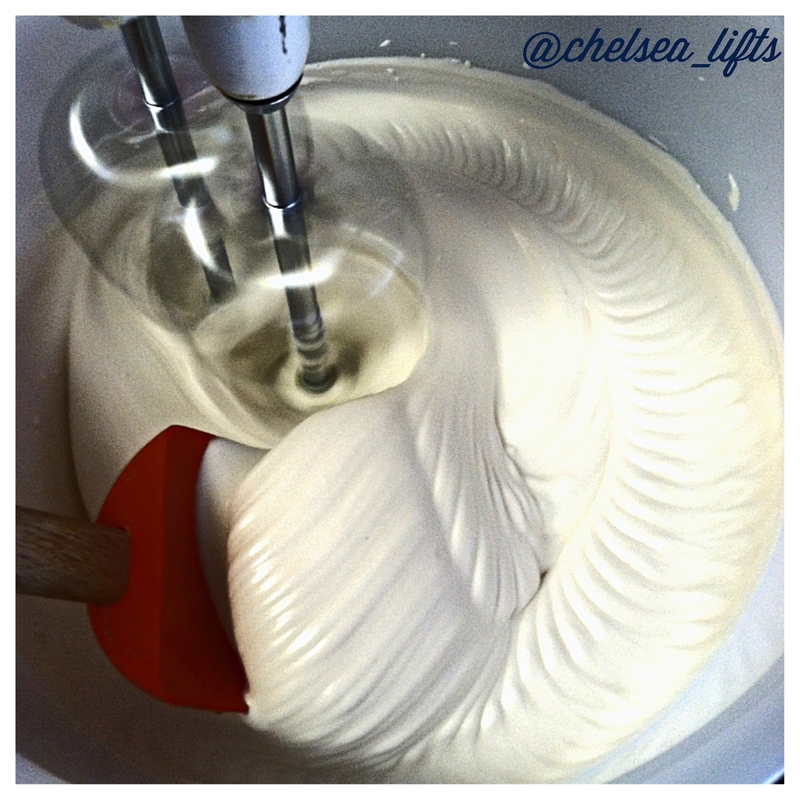 Fluffy, creamy, and light homemade whipped marshmallow fluff topping! Beat 3 egg whites in big mixing bowl in a stand mixer on 3/4 of the highest speed, once the eggs start to froth add in 2 tbsps of sugar. Beat again â€“ eggs should become white, fluffy, and have soft peaks. In a separate saucepan on the stove, heat together: cream of tartar, water, honey, sugar (I used half regular and half stevia). Bring this mixture to a boil, while stirring, and use a candy thermometer to watch the temp. Once the temp reaches 225F, remove from heat. Turn Mixer back on to about 3/4 its speed and let it beat for about 30 seconds, then turn it back down down to about 1/3 its speed and slowly pour in your boiled mixture until it is all added. Once all boiled mixture is added, turn up the mixer two speeds and let it beat for about 5 minutes. The fluff will expand and become airy and light. After the five minutes, add in the pure vanilla extract and let it blend in. Once blended you are done! Can be stored in an airtight container in fridge!